This image was actually quite challenging to produce. Since I was shooting straight into the sun, I had to blend together multiple exposures to minimize over-exposed highlights and under-exposed shadows. While it didn't come out perfectly I think what I made out of this shot is pretty cool. This is Iceland's famous Ice Beach. 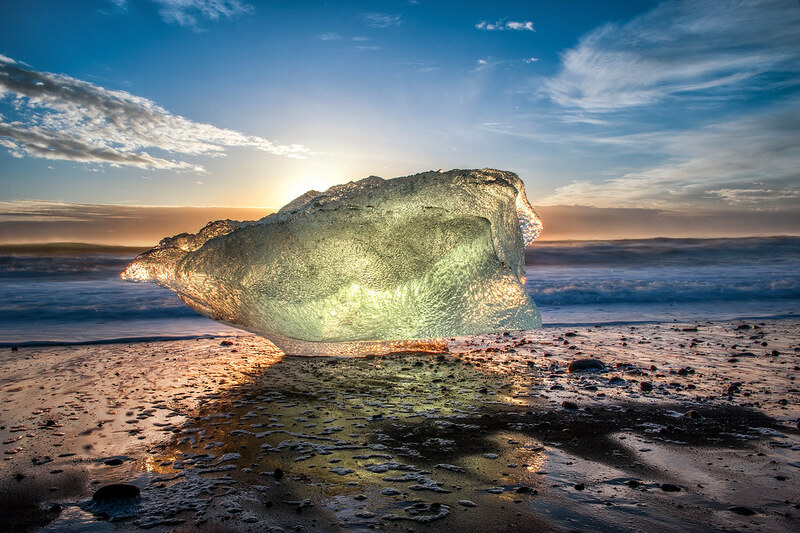 Another shot of Jokulsarlon famous black sand ice beach right after sunrise. Damnnnn....love it!! I love the texture on the ice and how it looks completely self illuminated.